As a fully licensed and insured contractor, Banner Environmental Services provides comprehensive demolition services from planning and preparation to in-depth clean-up. 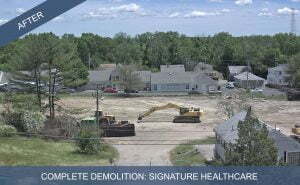 Complete Demolition: We understand that each and every demolition project is unique including uncovering what lies hidden within and/or beneath a structure, which is why our customers have come to rely on the breadth of experience our team possesses. 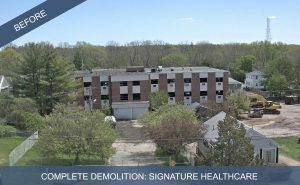 Our team of highly-qualified and trained technicians are not only fully equipped to manage complete demolition projects in their entirety, but they are also ready to combat any environmental issues that may arise throughout the course of the demolition. If you would like a free estimate for a complete demolition project, call us at 866-934-2374 or schedule your free estimate today. We provide services throughout all of Rhode Island and Massachusetts including Greater Boston, Cape Cod, Martha’s Vineyard, and Nantucket.